The Sangrador is forged to make an enemy think twice. The dual-edged Sangrador is a combat knife with a dagger style blade that serves one purpose. Let's hope someone rushing at you never finds out. 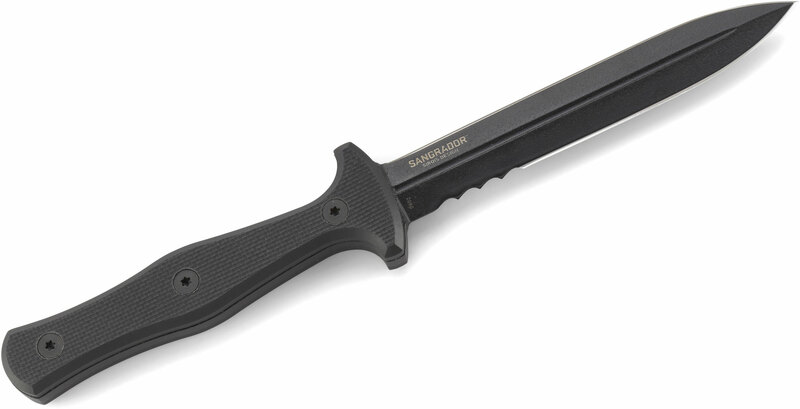 You'd expect a knife like the Sangrador to be created by a veteran who's spent plenty of time in the field. An advanced soldier who knows what works and what doesn't. Darrin Sirois, from Fayetteville, North Carolina, is all that and more. 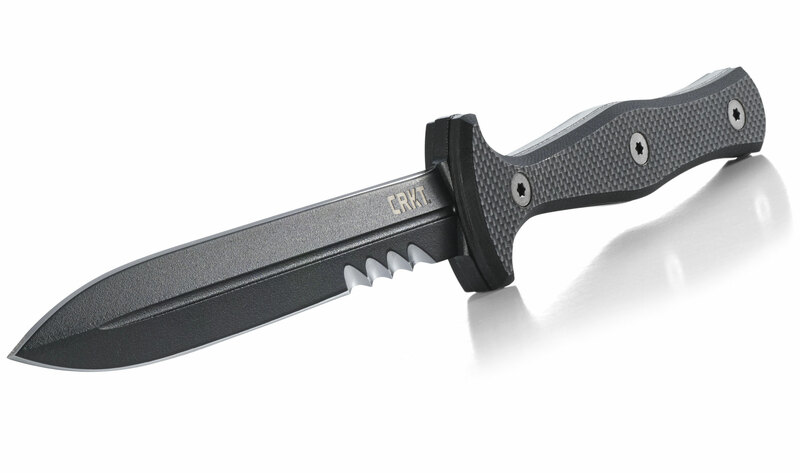 Working with CRKT's "Forged By War" program, he created a knife that a Special ops fighter would find invaluable. After all, he spent several years as an Army Ranger. Sangrador means bleeder in Latin. This knife takes its role seriously. 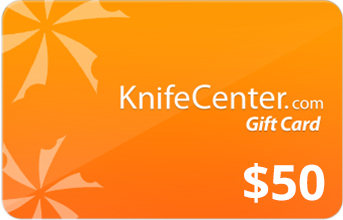 A 5.5" dual-edged SK5 steel dagger style blade that has unbelievable penetrating abilities. 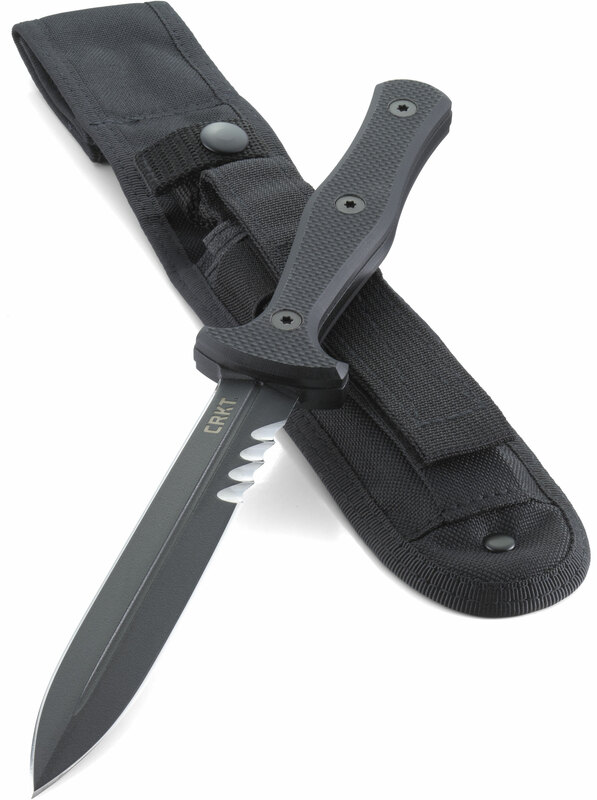 Add Veff Serrations and you have a knife that feels as powerful at preventing attacks as it does cutting through cord and rope. 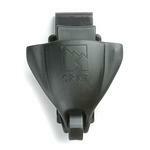 A black powder coat finish resists corrosion and camouflages it perfectly in the dark of night. 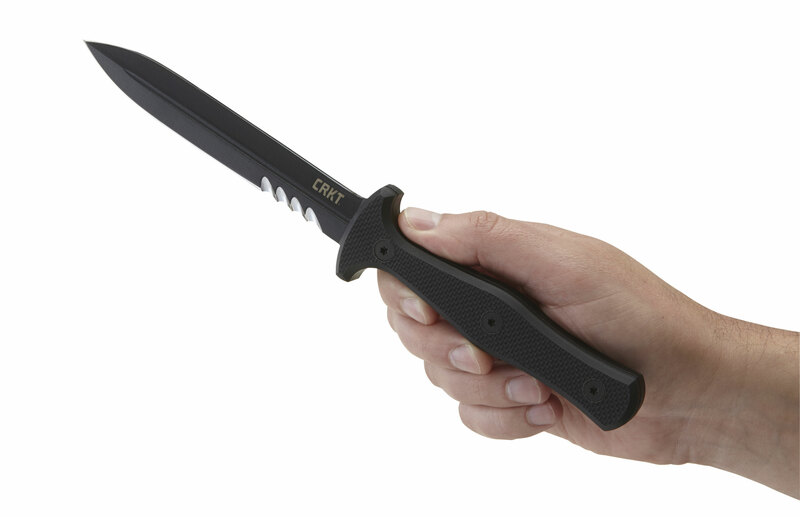 A non-slip G10 handle provides unbeatable grip in all conditions, even in sweaty hand-to-hand combat. 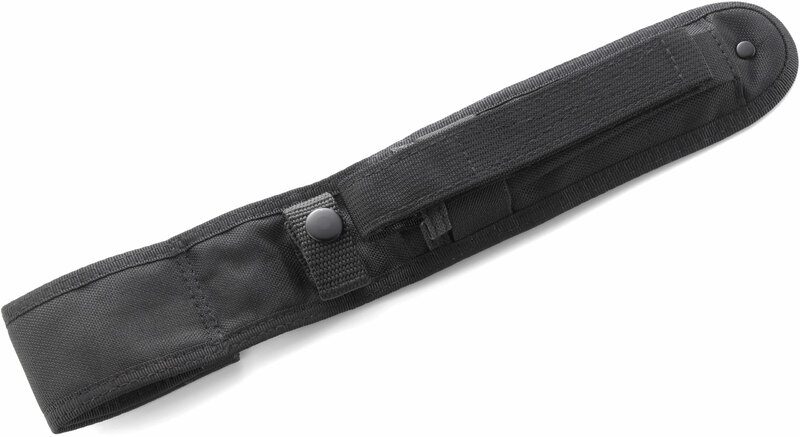 Just slide it into your MOLLE compatible sheath with a compartment for extra accessories. Then prepare to go into battle with extra-large force. 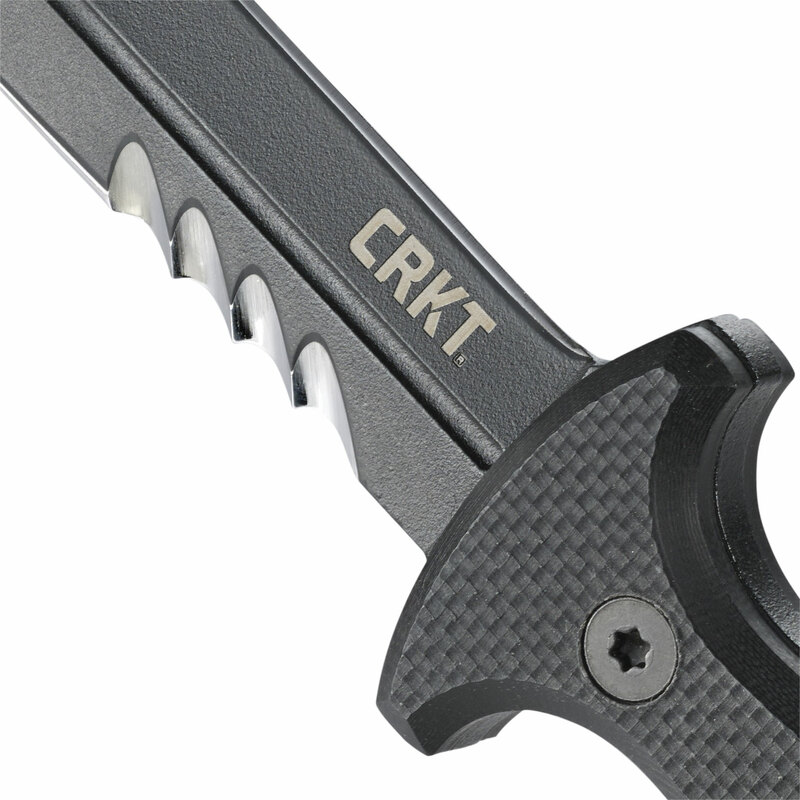 In 2013, Ryan Johnson of RMJ Tactical, designer of elite, military, tactical tomahawks, approached CRKT with the news that he had been working with a few combat veterans that had returned from war with varying degrees of post-traumatic stress disorder (PTSD). To help work through their challenges, they have been designing and forging steel into custom tools. Drawing from their experience earned in combat situations, they have been creating tools they wished they had available to them on the battlefield. 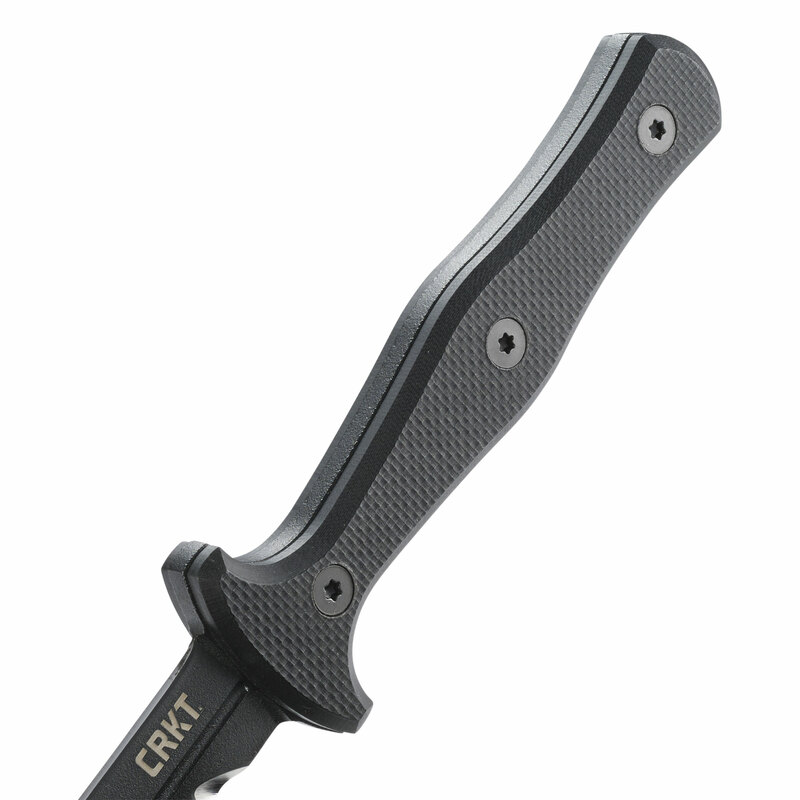 CRKT cares deeply about our returning veterans and they saw a way to give back to the community that created them. 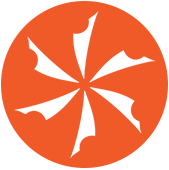 In 2016, they launched the Forged By War program. 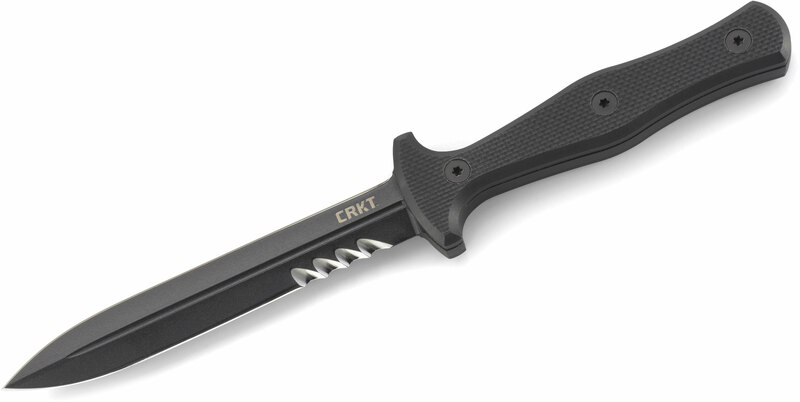 These are mission ready tools, designed by veterans, with 10% of the CRKT net profits of the program donated to the veterans' charity of choice. Mission ready tools that are Forged By War. Cool lightweight dagger that was pretty sharp out of box for a dagger and had symmetrical edge bevels.Handle is grippy but somewhat flat and narrow so ergonomics are not the best. SK5 steel works for a dagger well but the coating is not very good in quality and comes off easily.Sheath is bulky and could be better but works in a pinch. 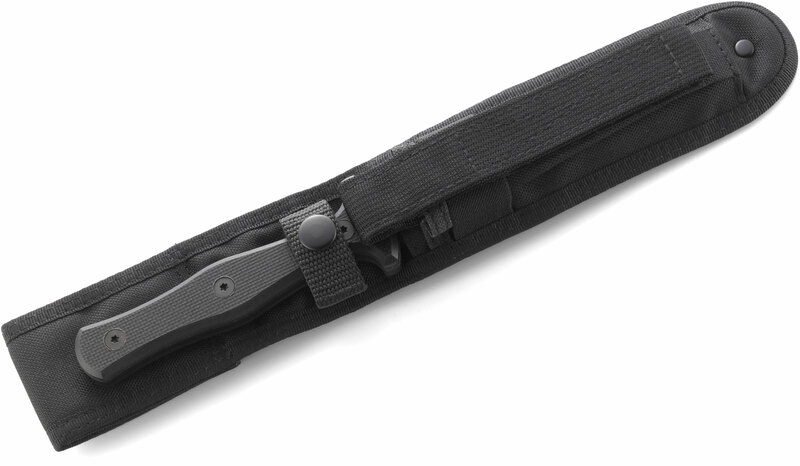 A good all around light utility knife . 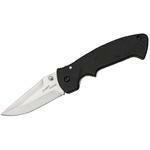 The Sangrador is a good light use utility knife. Not as heavy duty as a Ka-Bar but still quite handy for light utility work. The Sangrador also exhibits an ability to be useful for another ugly but essential battlefield task, quietly dispatching the enemy as needed . 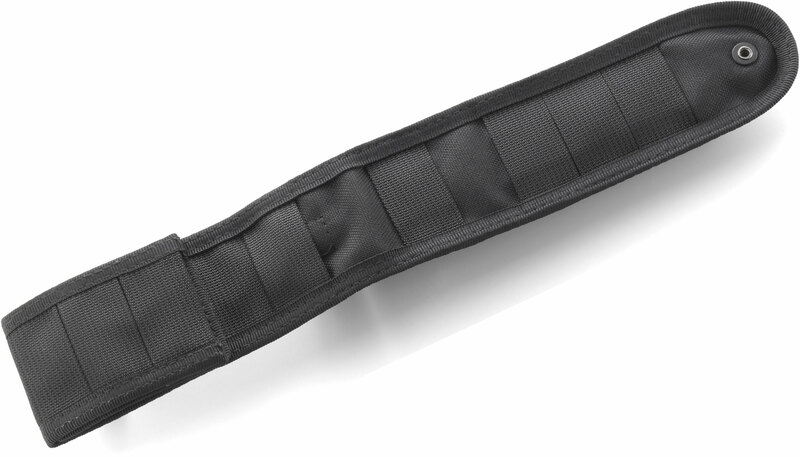 All in all an excellent addition to any soldier's kit bag, or as a multi-purpose addition to a well stocked bug-out bag. 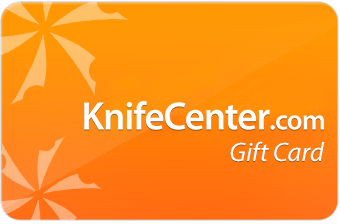 No bad things to say about this well designed purpose built knife. 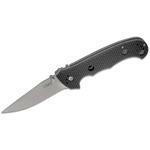 Hey, I wanted to share "Columbia River CRKT 2080 Sangrador Fixed 5.54 inch Double Edge SK5 Blade, Black G10 Handles, Nylon Sheath" with you from KnifeCenter.